Georgena Terry, the video - Terry Peloton. In the early days of Terry, I can remember spending hours with a photographer who wanted an edgy photo of me surrounded by bicycle wheels. I have so little patience for sitting, smiling, raising my chin a bit, turning my head this way then that way and waiting for lighting and backgrounds to be adjusted. It would be so much more fun to be out on a bike ride, wouldn’t it? So I surprised myself when I agreed to be the subject of a short video. I know from the videos I make for YouTube that many minutes of film have to be shot to create something substantially shorter. This proposed five minute video could mean hours of taping. 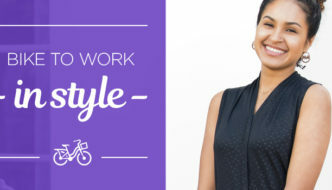 But after exchanging a few emails and trading links to “cool” videos, I felt it was well worth my time to invite Amanda Zackem, the producer/director of the video, into my personal world of bicycling. Amanda was completing her master’s degree at the S.I. Newhouse School at Syracuse University. The whole experience turned out to be thoroughly enjoyable, from beginning to end. Amanda is incredibly creative, yet down to earth and fantastically good-natured and generous. It’s exciting to work with someone on the verge of a great future. The video was shot in western New York and Waterford Cycles in Wisconsin. Waterford builds our Valkyrie, Isis and Fast Woman bicycles. loved the video, thank you, always wanted to know more about Georgena. Bought a Classic in Silver Spring in 1987 when I was working on a fellowship on Judiciary. Never could find a Terry in L.A. Rode it cross-country in 1994, still have it. More people need to know about Georgena Terry and her company. After this, I will be purchasing one. My 5’1″ frame, older age, neck and back issues may well resolve with the right built, woman-fitted bicycle! Excellent video Amanda Zackem and excellent bicycles Georgena Terry. 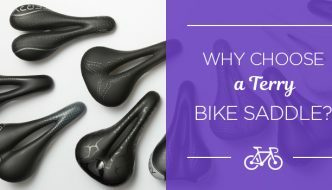 It’s so interesting to learn about the lengths that GT went to so that small women like me can ride decent, properly fitting bikes. Thank you Georgena for your stubbornness, guts, and vision. I just bought my second Terry and if it is anything like my first, I am in for some very good times – courtesy of GT. Great Video Amanda. Georgena, Thanks so much for making Marcia that Beautiful Isis. It makes both of us very happy. Enjoyed the window into your life and career. Keep up the good work. What a wonderful way to “meet” Georgena. When I started riding in the ’70’s, my size– 4′ 11″–meant that I couldn’t get an adult bike to fit. I was resigned to the fact that I would always have to make compromises and that comfort just wasn’t in the equation. Discovering that someone–a woman, no less–was making bikes for women was a real revelation. 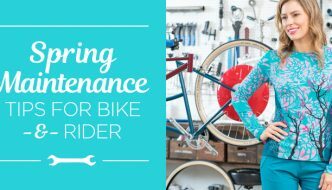 Thank you, thank you…for being who you are and building wonderful machines for women…I currently ride a Specialized and will certainly keep this company in mind for my next one. Pedal pedal pedal ladies!!!!! I’ve been riding as an adult since 1972 when it was “just a fad”, so there was a lot of friction in the beginning from people who felt that bicycles were just toys. I’m still riding to keep my blood pressure, cholesterol, back, neck and anything else that is trying to fail, in check. My bicycle has always been the only exercise machine that makes me smile. When I ride, my spirit is young again. Terry is a true pioneer, regardless of her size, her health, her gender or anything else. In my eyes, she is a giant and she has the perseverance of a badger and the compassion of a Bernese Mountain Dog (I have one and he is my best friend). I watched this video two years ago and loved it, then stumbled upon it today. I agree with all the previous comments, and especially like what Steven says. Georgina is a pioneer in the world of bike building. I am a loyal Georgina Terry bike owner and recommend her bikes to every woman I meet. I am an avid cycle tourist and have taken her bikes all over Canada, USA and Europe. They are so reliable and comfortable, I can’t imagine riding anything else. Haven’t been on a road bike in ten years. Just bought a Peloton. If I get back outdoors to ride again I will definitely look at a Terry. Oh, I did purchase Terry bike pants for the Peloton. I remember hearing of the Terry company in the 1990s when I did most of my road biking. At the time I was riding a 1980 LaMonde. It fit like a glove. Guessing that is how a Terry might fit.